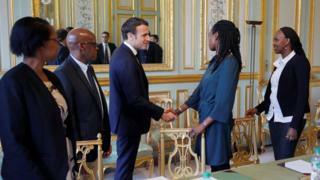 French President Emmanuel Macron has appointed a panel of experts to investigate France's role in Rwanda's genocide 25 years ago. An estimated 800,000 Rwandans, most from the minority Tutsi community, were killed by ethnic Hutu extremists over 100 days in 1994. Rwanda has accused France of complicity in the mass killings - a charge repeatedly denied by Paris. The experts will now consult archives to analyse France's role. They will have access to presidential, diplomatic, military and intelligence archives, Mr Macron's office said in a statement. 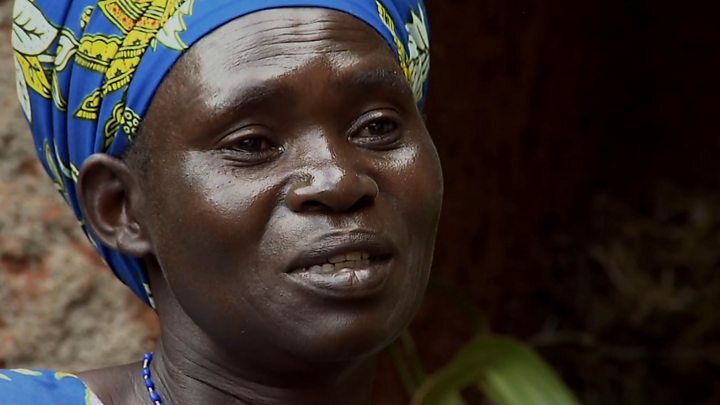 Julien Allaire of Survie, a Paris-based NGO that focuses on relations between France and Africa, told the BBC that there was already ample evidence of "France's diplomatic, military and economic support for the Rwandan government before, during and after the genocide". In 2015, then-President Francois Hollande announced that the Rwanda archives would be declassified but two years later, after a researcher sought permission to study them, France's Constitutional Council ruled that they should remain secret. The constitution says papers deposited in the archives by a president or minister can remain secret for 25 years after that person's death. The president at the time of the genocide, Francois Mitterrand, died in 1996. Looking at the period from 1990 to 1994, it is hoped that the findings made by the eight historians and researchers will "contribute to a better understanding and knowledge" of what happened, the presidency said. "The goal is to deliver a report which will be published in two years' time... and will be accessible to all," it added. France was a close ally of the Hutu-led government of Juvenal Habyarimana prior to the massacres. It was the shooting down of his plane over the capital Kigali in April 1994 that triggered the genocide. Rwanda has accused France of ignoring or missing warning signs and of training the militias who carried out the attacks. It also says French forces, stationed there as part of a UN peacekeeping operation, used the creation of a safe zone to help some of the perpetrators to escape. The issue has long strained relations between the two countries, though they have improved over the past decade. But no French president has ever attended the annual commemorations in Rwanda. Mr Macron turned down an invitation for this weekend's events, citing scheduling problems.